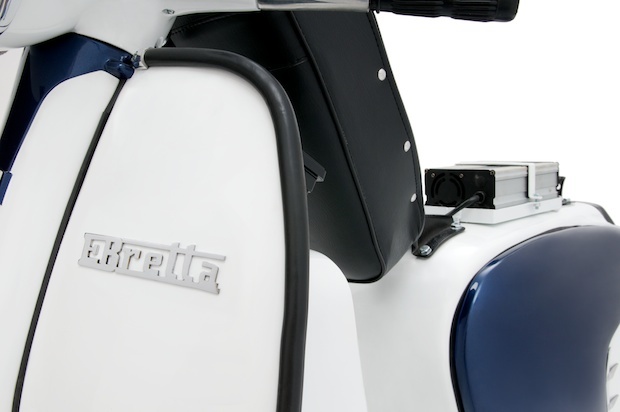 I first wrote about the Ebretta back in May 2012… a classic Lambretta with an electric power train. 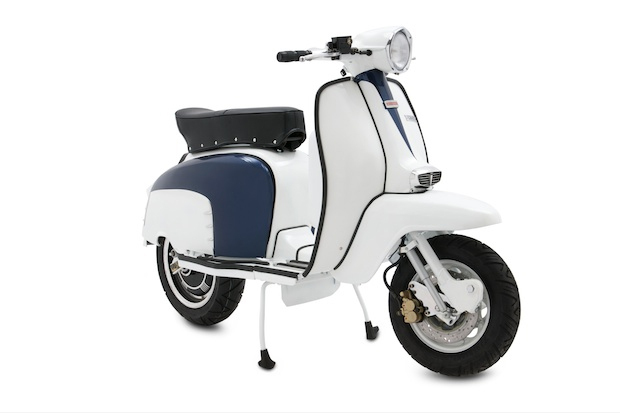 Well, now Siagon Scooter Centre, the guys behind the Ebretta and the Vespa Styled version the Vtronic have released a Mk2 version. On the surface, not a lot has changed, and that’s a good thing. It still looks like a classic lammy. But under the skin, there are numerous improvements. 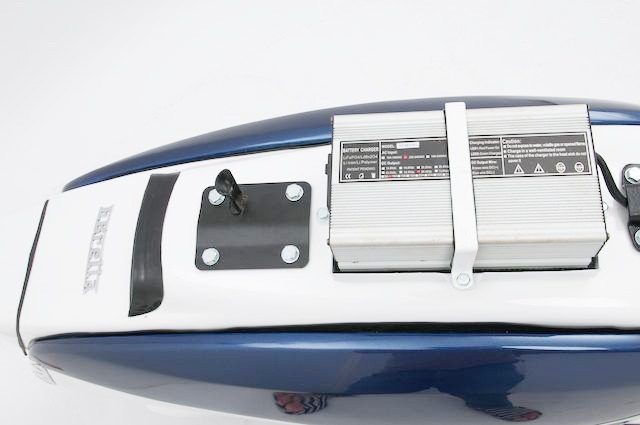 The battery system now includes an integrated PMC, and the cells are smaller and more powerful. There’s a new SevCon digital display unit, and a DC converter so that standard lighting can be used… although LED lighting comes as part of the package. It’s nice to see a project as visionary as this is still being pursued and developed. 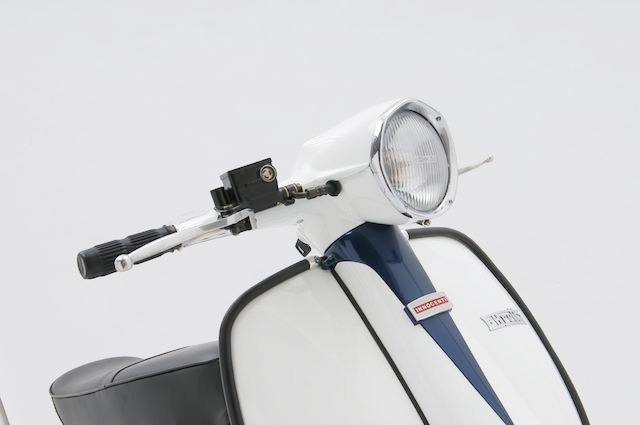 And that a company realises there is a market for classic scooter looks with state of the art internals. 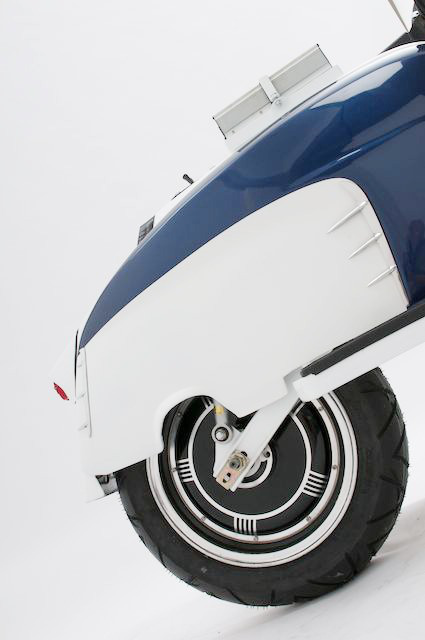 Of course, if an electric scoot doesn’t float your boat, you could have a look at the Scomadi. As before, for more information, contact the Siagon Scooter Centre. This entry was posted in News, Scooters and tagged EBretta, Eco, Electric, Lambretta, saigon scooter centre, scooter, Siagon, Vietnam by crocodilejock. Bookmark the permalink. Not as far as I know mate. 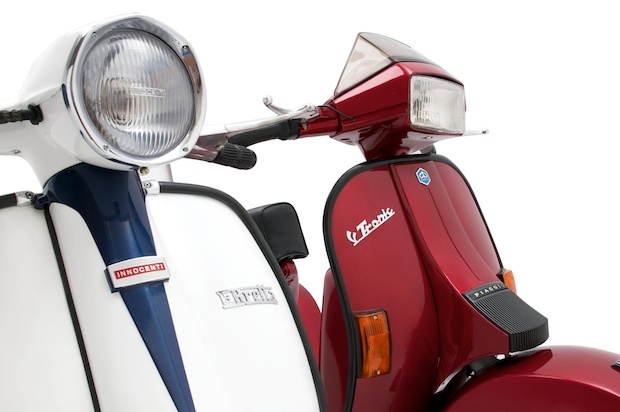 There are rumours, and they are just very vague rumours, of an “electric Scomadi” If I hear more I’ll be posting it on here, don’t worry.